We’re trying to do a little Christmas decorating amidst the other projects I have taking over the living room right now. But, we still managed to put up our tree that we got from the wonderful Lopez Ranch Tree Lot on La Brea and Melrose in LA. It looks fantastic! Smells great too. $60 with the stand and it’s huge and fluffy. We also picked up one of their handmade wreaths for the front door! I haven’t had a chance to take a good photo but I had to share this Instagram photo that I took. 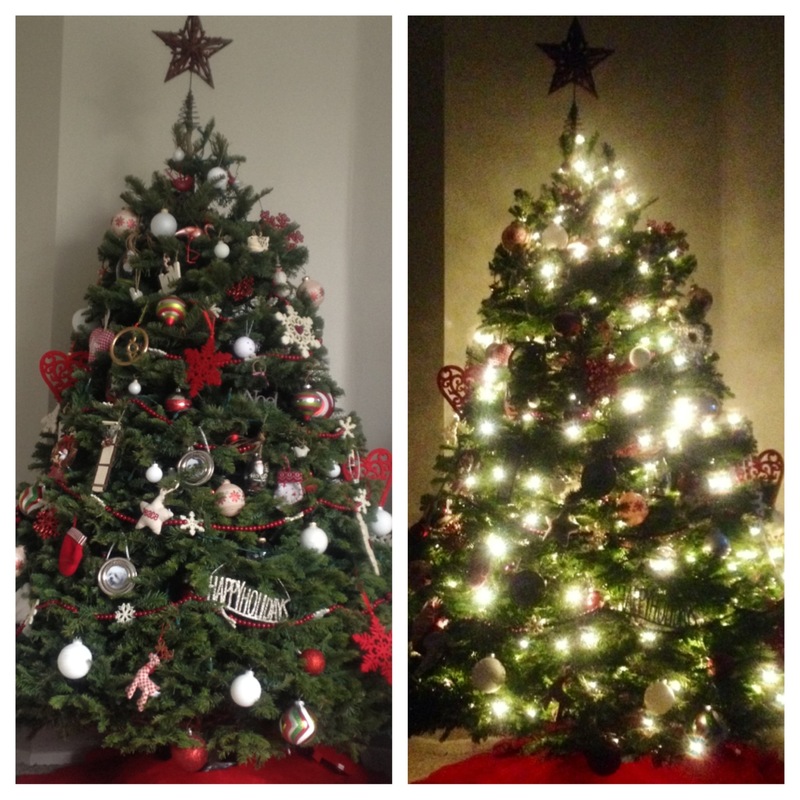 Why do we choose real Christmas trees over faux? – Trees are a renewable resource. Most Christmas tree farms plant 2 saplings in place of one cut tree. Faux trees eventually end up in landfills. – Christmas tree farms provide habitat for animals and give off oxygen that help clean our air. -Supports local businesses. Most tree lots are run by local businesses or non-profit organizations. Both are worth supporting, especially around the holiday season. -And of course I like the idea of a traditional Christmas. Real tree, putting it up, putting the lights on, decorating it, and sitting back to watch the glow and smell the scent of evergreen. -Ask your lot to put your stand on for you or go to a lot that includes the stands. -Also ask them if they offer disposal bags. That helps keep the mess at a minimum! -Water your tree daily and invest in floral food. It’ll keep it fresh all season. Some Christmas crafts I have coming up include making paper trees out of recycled magazines and snow covered pine cones using the ones that I collected from a recent trip to Big Bear Mountain! I’m late but I love your tree! I wish I could get a real one but I can’t imagine what the cats would do to it, especially my roommate’s crazy one. D: I think Penny would be OK so maybe when Josh and I get an apartment we can try it out one year. We just bought a really cute new fake one though so I’ll see how cheap we’re feeling at the time. :p This year we couldn’t get a real one because it says in his lease he can’t have one. WTF?